One of the things you need to focus on when picking products is definitely the material that is used on your furniture. There are varieties of different labels etc. water based, solvent based, water-solvent based and professional cleaning products. Have in mind, that not using a certain product on your couch may permanently damage its fabric, which can easily cost you a fortune if you already spent a lot when buying that piece of furniture. The best idea is to try the product first, either on something less valuable made from the same piece of fabric or just try using the product on non-visible spot on your furniture. 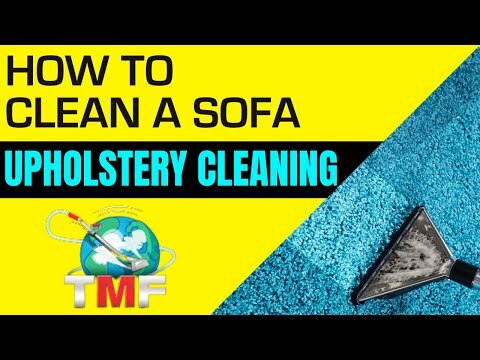 Also, you should pay attention to products that are used for cleaning and maintaining the look of a whole furniture piece and to those that are used for getting rid of those dirty stains that may be bugging you. Some people also tend to rely on home made cleaning products, which is not always the best idea. Some pieces of furniture require the touch of professional cleaning products, since not all of them are made of simple fabrics. Which means, if you invest a lot into a certain piece don’t think that you can ‘keep it in shape’ with simple, cheep products or homemade ‘remedies’ – we’re not saying you can’t, you can – but probably not for as long as you probably figured you could. Best products on the market right now come in spray bottles. Why? You might be asking… Well, those kind of products are perfect for both stain removing and cleaning the whole piece of furniture. 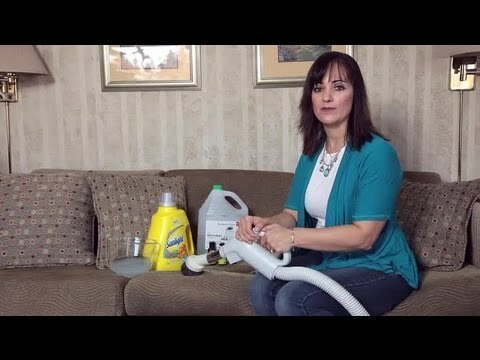 You can always spray directly, but not too close to the place where the stain is or simply use it on a piece of fabric to maintain the look of your, for example, leather couch.